Is Chinatown a ghetto, an area of exotic sensations or a business venture? What makes a European Chinese, Chinese? The histories of Chinese communities in Europe are diverse, spanning (amongst others) Teochiu speaking migrants from French Indochina to France, and Hakka and Cantonese speaking migrants from Hong Kong to Britain. This book explores how such a wide range of people tends to be - indiscriminately - regarded as 'Chinese'. Christiansen explains Chinese communities in Europe in terms of the interaction between the migrants, the European 'host' society and the Chinese 'home' where the migrants claim their origin. He sees these interactions as addressing several issues: citizenship, political culture, labour market exclusion, generational shifts and the influences of colonialism and communism, all of which create opportunities for fashioning a new ethnic identity. 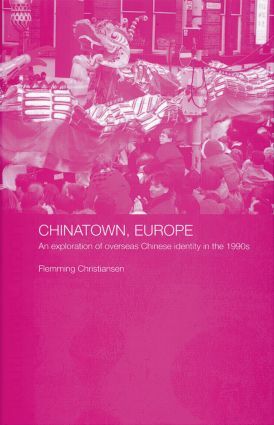 Chinatown, Europe examines how many sub-groups among the Chinese in Europe have developed in recent years and discusses many institutions that shape and contribute ethnic meaning to Chinese communities in Europe. Chinese identity is not a mere practical utility or a shallow business emblem. For many, China remains a unifying force and yet local and national bonds in each European state are of equal importance in giving shape to Chinese communities. Based on in-depth interviews with overseas Chinese in many European cities, Chinatown, Europe provides a complex yet enthralling investigation into many Chinese communities in Europe.